When members of the Early Childhood Mental Health Network gather each month at WCI, their work is clearly defined…and right in front of them. That’s because the group’s coordinator Carolyn Strnad included the definition of early childhood mental health and its categories on the back of each member’s nameplate. “Defining what is early childhood mental health and its components helps us to center our work around the youngest of children in our community," says Carolyn Strnad, the network’s coordinator, who also coordinates the Clay County Early Childhood Initiative and the Clay County Collaborative. The ECMH Network began meeting last fall and is comprised of professionals from early childhood, education, social services and health care from the nine-county region of west central Minnesota. WCI funds the gatherings and Strnad’s coordination. If it seems strange that these members need a reminder on their nameplates, imagine what the average person wonders when they hear the words “early childhood mental health.” The subject is complex, Strnad says, but, briefly, it refers to a child’s developing capacity to express one’s emotions, develop close relationships and actively explore the world around them. 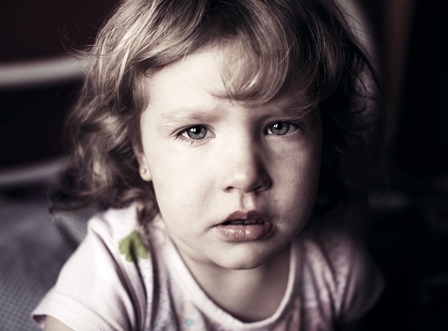 What many don’t understand, Strnad continues, is that from a very young age, adverse childhood experiences, known as ACEs, can dramatically change a child’s social-emotional makeup and capacity to handle what life hands them. This mental stress manifests itself in many different ways. “A lot of people, when they think of mental illness, think of a raging kid, but depression and anxiety can affect very young children too,” Strnad explains. In many cases, families have to figure out on their own how to deal with their child’s illness—even if the child has been diagnosed. That’s why one of the ECMH Network’s first projects is to develop a regional resource database of early childhood mental health services from prenatal to age eight. Another goal is to address the stigma associated with talking about mental health. “How do we talk about kids and their mental health needs? Too often, people say things like, ‘Oh, she’s just two’ or ‘That’s what all boys do,’ to explain a child’s behavior. As an early childhood group, we have a voice about our young children’s social-emotional development, and we can teach others how to have that conversation with families, child care, educators, medical professionals, media and others,” Strnad says. For information about the ECMH Network, email Carolyn Strnad at coordinator@claycountycollaborative.org.